According to the World Health Organization, approximately 285 million people are estimated to be visually impaired worldwide. Dysfunctional retina due to photoreceptor degeneration (as in Age-related macular degeneration or Retinitis Pigmentosa), damaged optic nerve (due to Glaucoma or diabetic retinopathy) or enucleation of eye (by combat ocular trauma or traumatic optic neuropathy) leads to lack of signal transduction or transmission to the visual cortex. Currently, there is no cure to restore vision in these patients. Nanoscope scientists have developed highly photosensitive Multi-Characteristic Opsin (MCO) that allows ambient light stimulation of retinal cells for restoring vision in patients who have lost their photoreceptors. However, individuals with loss of optic nerve or the whole eye need direct visual input into the brain to restore vision. With the support of National Eye Institute (NEI), the team will advance bioluminescence imaging instead of fluorescence in order to allow long-term cortical imaging without requiring external light. 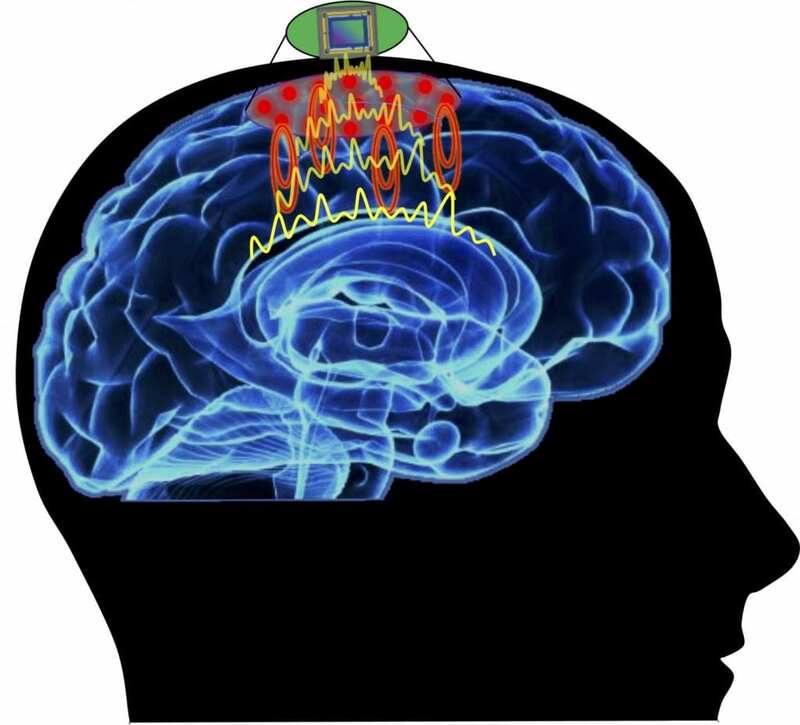 The team further plans to develop a neural interface capable of patterned optogenetic stimulation and bioluminescence imaging of brain areas to mitigate sensory deficits. "The goal of this study is to implement Bioluminescent Multi-Characteristic Opsin (bMCO) technology for simultaneous optical modulation and imaging of retinal and cortical activities using spectrally-separated activation and detection channels. This will enable us to modulate neural activities in retina and image visual cortex with high temporal and spatial resolution, providing details about disease progression and restoration ", said Samarendra Mohanty, Chief Scientific Officer of Nanoscope Technologies and Principal Investigator of the recently awarded R01 grant. The team aims to quantify changes in visual cortical activities during progression of retinal photoreceptor degeneration by bMCO using head-mountable camera and evaluate restoration of visual cortical activities upon re-photosensitization of degenerated retina by intravitreal injection of MCO. Simultaneous measurements of cortical activities and behavior in response to visual stimulation during retinal degeneration and vision restoration will provide valuable insights into the visual processing circuitry. "Success of this proposal will lead to development of a modular and scalable interface system with the capability to serve a multiplicity of applications to modulate and monitor large-scale activities in the nervous system", said Dr. Subrata Batabyal, Co-Investigator and Senior Technical Officer of Nanoscope Technologies. This technology has immense potential with wide ranging implications for individuals with sensory disabilities. For example, such an interface could allow detection and modulation of activities of sensory neurons for effectively managing pain, epilepsy and other neurological disorders. "In the long term, we aim to demonstrate a clinically viable optical stimulation device that can reliably provide stimulation inputs to the nervous system and simultaneous recording of neural activities", said Dr. Weldon Wright, Co-Investigator of the grant. The team led by Dr. Mohanty is also advancing photonic technologies for early detection of cancer, which is undergoing clinical evaluation of brain cancer during awake brain surgery. Recently, the fact that another R01 grant based on the early cancer detection technology has scored top 4 percentile in NIH review, speaks volume about the innovativeness and significance of Nanoscope's research. "To the best of our knowledge, Nanoscope Technologies is the only company that has been awarded a Bioengineering Research Grant (R01) by NIH. Nanoscope is also advancing research under Audacious Goal Initiative (AGI) R01 Grant from the NEI for targeted laser based gene delivery to retina." said Sulagna Bhattacharya, Chief Executive Officer of Nanoscope Technologies. The NanoScope team and company are dedicated to the goal of expanding neuro-engineering capabilities and translate these promising technologies for therapeutic treatment of blindness and other life-disruptive disorders. Contact Ms. Sulagna Bhattacharya at [email protected] for further information.